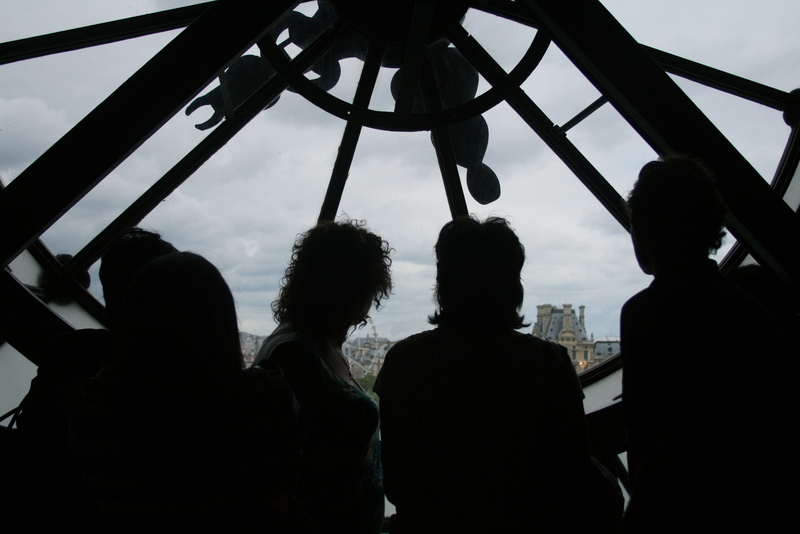 Taken through one of the building's giant clocks. Reminded me of that Scorsese movie Hugo. I like it because it’s smaller and less crowded the the Louvre, plus it focuses on my favorite periods (Impressionism, Neo-Impressionism, Post-Impressionism, etc.). The space is also really cool because it used to be a train station. Definitely the prettiest of the museum's cafés. 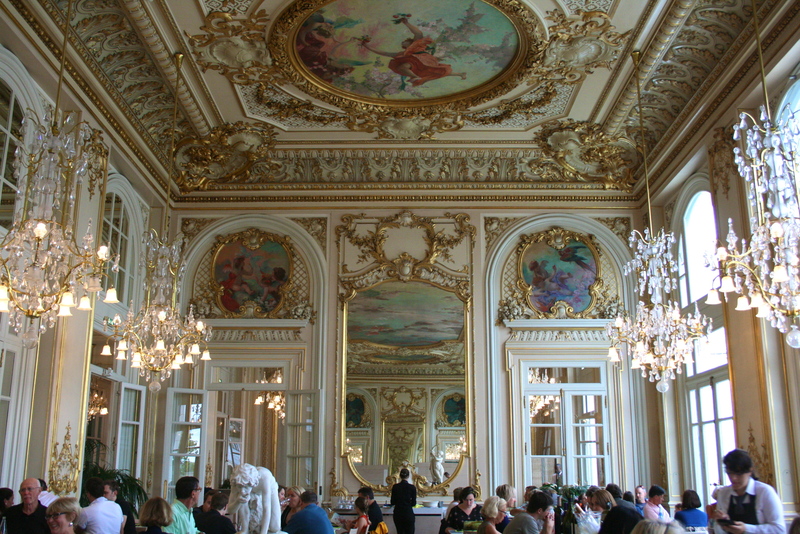 Feels like you're dining at Versailles. Locks on locks on locks. We were walking along the Seine from the Orsay to Les Invalides and Musée Rodin when we came across this bridge. 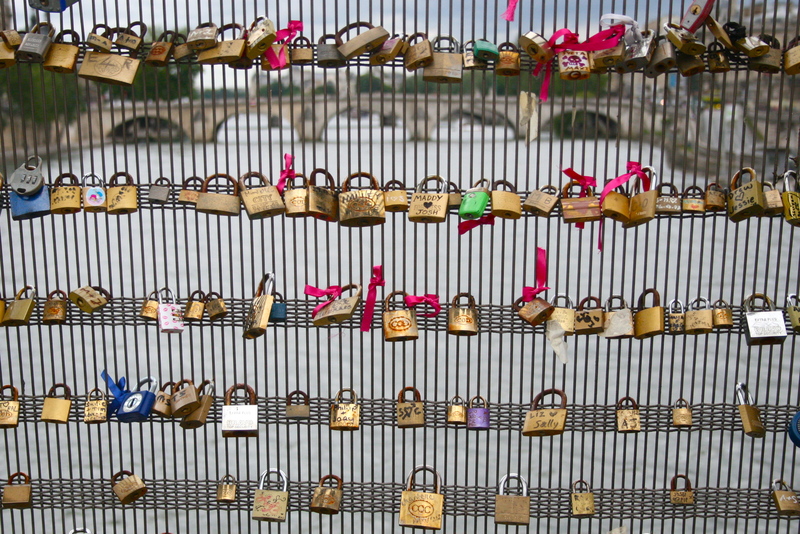 It’s tradition for couples to leave locks here with their names. Didn’t bring a lock with you? No problem. There are vendors selling them on the spot. At a mere 1€ to stroll around the gardens, this place is quite a steal. I had already seen a lot of the sculptures thanks to Stanford’s Cantor Arts Center, but the one thing we didn’t have on campus? The Eiffel Tower in the background. 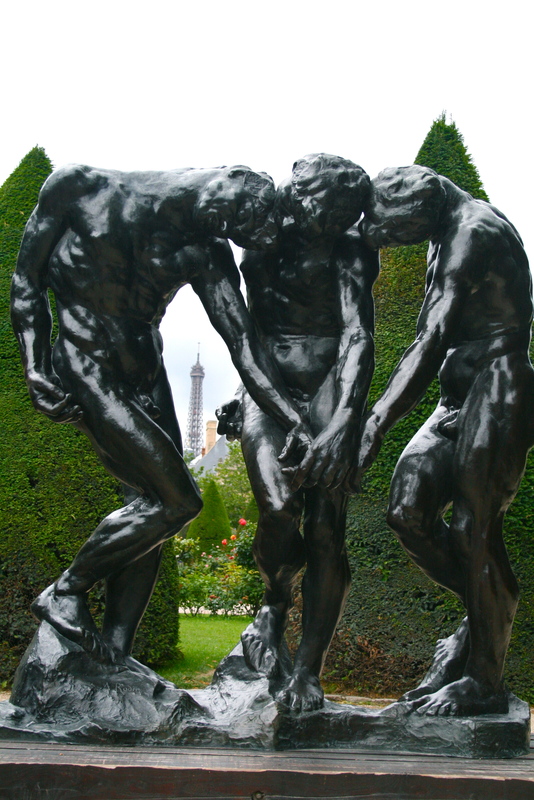 Taken somewhere between the Rodin Museum and Les Invalides. 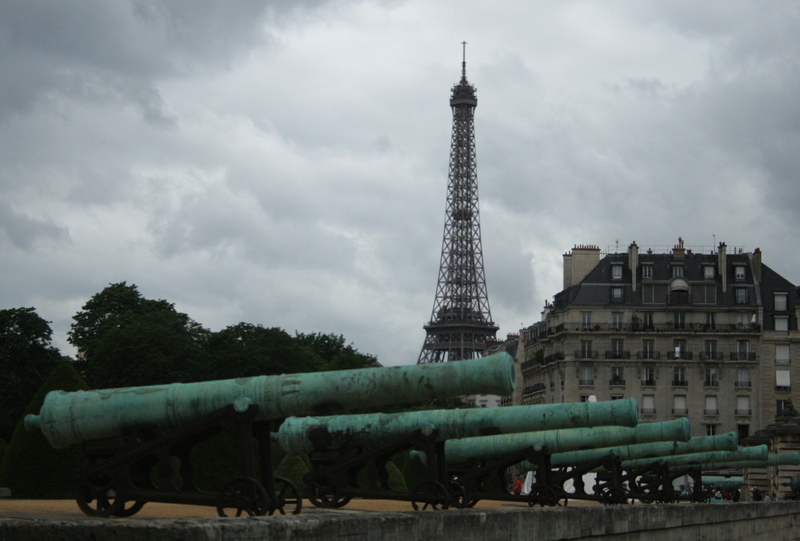 It’s also right next to Les Invalides, now a war museum that also houses Napoleon’s tomb, so if you’re in the area I’d recommend checking that out too.